The season finale of the police and legal drama Law & Order deals with teachers who have had their careers harmed by “nuisance complaints” from students. One of the teachers included in the episode “Rubber Room” shares something in common with suspended Mount Vernon Middle School teacher John Freshwater—he was accused of branding a cross onto a student with a Tesla coil. 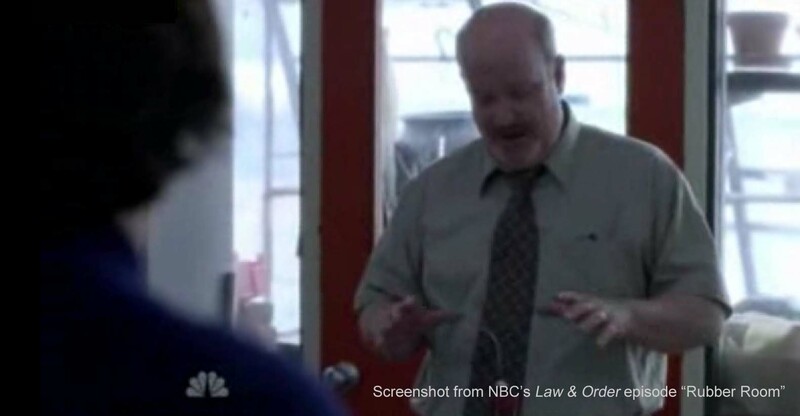 A person with the username "seabiscuit" on mvohio.net pointed out the connection between the Law & Order episode and the local controversy. "How about that!" seabiscuit wrote. "This situation has now been woven into a television show!" John Freshwater told the Mount Vernon Board of Education that he believed the board was not being updated on the testimony from his hearing. During Monday’s board meeting, Freshwater summarized the recent testimony of ten students. The ten students were from the same class as Zachary Dennis, Freshwater said. Freshwater supplied the board with copies of the affidavits from the witnesses. Board members did not respond to Freshwater’s comments but did allow him additional time beyond the standard three minutes for public participation. Student affidavits (3.45 MB PDF). The PDF contains the affidavits of most of the student witnesses that testified at the Freshwater hearing April 29-30, 2010. The hearing is set to resume on April 29, according to the Mount Vernon News. The hearing will be taking place at the Mount Vernon City Schools Central Office at 300 Newark Road. The hearing scheduled to resume on Thursday will be open to the public. Referee R. Lee Shepherd issued his decision Wednesday on the request to close the hearing. “There being no statutory rights to close (make private) a contract termination hearing once a public hearing has been requested, the teacher’s motion is denied,” Shepherd stated.